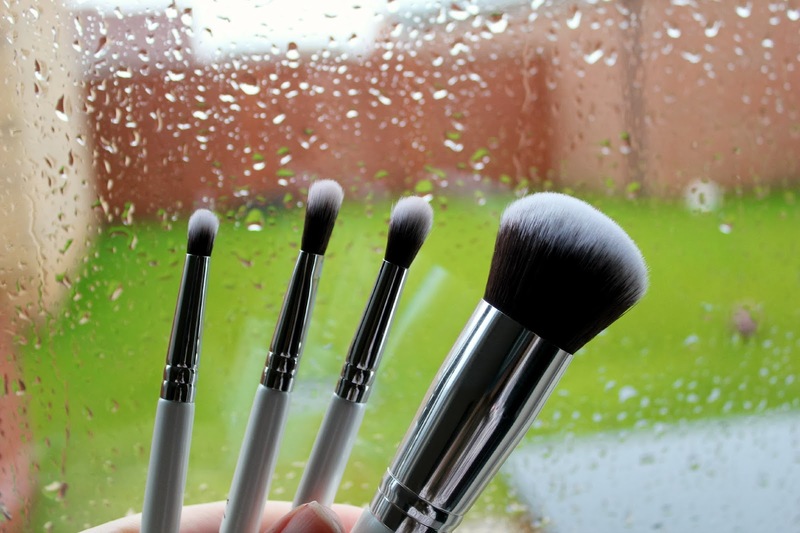 As you know, I am a huge fan of the Real Techniques makeup brushes, but sometimes, I am on the hunt to find new brands that are just as high quality. When some Nanshy Brushes* dropped through my letter box, I realised a new love could be kindled. Face: The star of the show for me is most certainly the Round Buffer Brush*, which seems to me like it could be a very close match for the Real Techniques Expert Face Brush. I'll make it short. I love this. Like, love. It blends and buffs liquid foundation like a dream, pats in concealer beautifully, and even does a pretty darn good job with blush. Dare I say, this might become my new favourite brush. Eyes: To begin with, the have the Blending Eyeshadow Brush*, which I find is a touch too stiff to fully blend out any crease colour, but does a brilliant job at applying it to the lid neatly, and feathering out the edges. 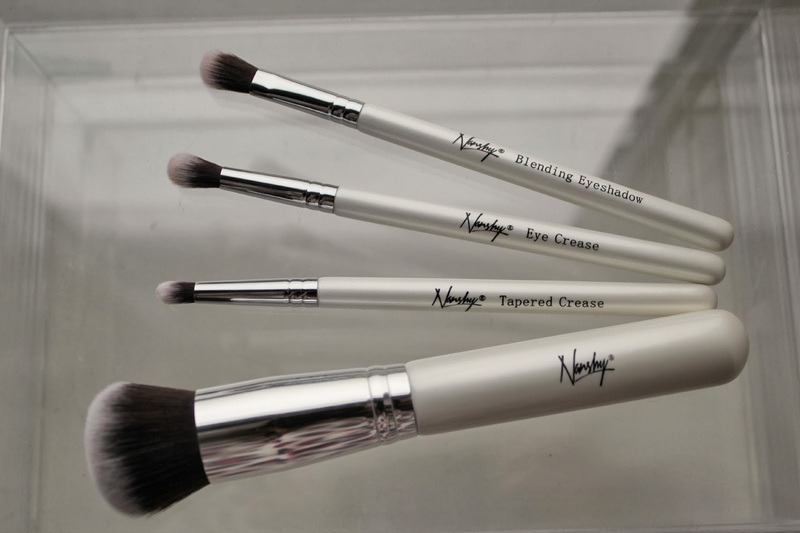 The Eye Crease Brush* is a good'un for (as the name suggests), putting colour in the crease. Now, this does a tiny bit of the blending for you as you sweep it through the crease, but more so focuses on putting the product in place - and must I say, it does it well. Finally, is the Tapered Crease Brush*, which is a little smaller than I anticipated, but even so, works really well for taking the eyeshadow along the lower lashline, and slightly feathering the edges too. Although it isn't originally what I thought it to be, I have found a well-fitted use to it. I have been lusting after Nanshy brush for ages. Heard so many good things about it. I have the eye set and they are amazing too!